On an island group south of Japan, Grav-Shoes are a common way of travel. Since the invention of anti gravity, special shows allow people to fly. It's also the mainstay of a sport called Flying Circus, where two players compete to score points by either touching floating poles, or tagging the other on the back. Asuka is returning to the islands for the first time in years to attend school there, and excited by the opportunity to realize her dream and fly. In practice it's not as easy as it sounds, but a boy she runs into on the way to school offers to help. Hinata has plenty of experience with Grav Shoes, but prefers not to use them for some reason. Asuka's excitement about flight results in the resurrection of the school's Flying Circus team, and she has plenty of potential. However even hard work and talent may not be enough to win, once a new team unleashes a seemingly unbeatable strategy on the sport. As much as I love anime for its imaginative ideas, few seem to live up to them in practice. 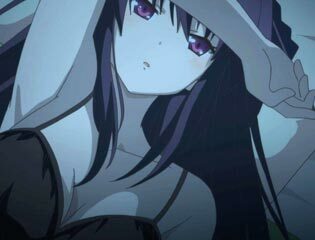 Aokana: Four Rhythm Across the Blue has just such a concept, but otherwise appears fairly stock so I didn't think much would come of this anime. 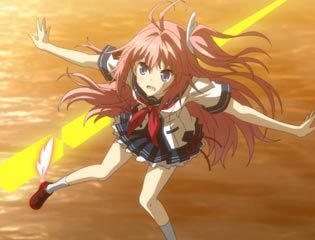 But Aokana impressed with its solid story and characters. There are minor issues, but as a whole the package is good. The art is attractive, but inconsistent. It's budget constrained with filler frames looking hilariously bad if you can spot them. 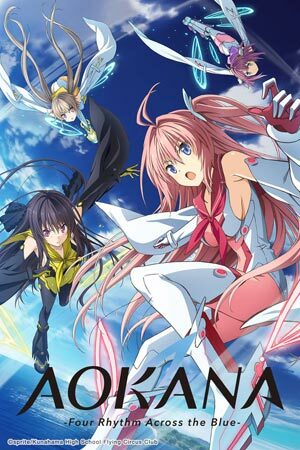 Aokana is an anime which could devour all cash a studio would be willing to shovel into it, but this anime isn't spectacle it could be. I'm not complaining though. Aerial contests are something you can watch and digest. They're not overwhelming blitz animation sequence you can't comprehend aside from stuff "moved fast". It may not be high budget, but does very well with the budget it has, and doesn't feel lacking in animation or artwork. 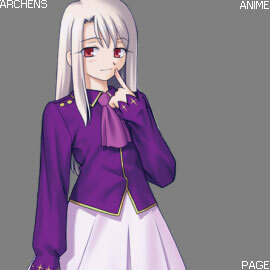 The characters sit in a odd spot in an anime visual novel adaptation, with nearly all romantic connections removed, leaving behind an anime more focused on story and character interaction. This has the odd side effect of de-emphasizing Masaya to the point where he's a somewhat spurious addition. The spotlight is spread evenly among the cast, making it feel like there isn't much of a main character. On the Flying Circus team, Asuka may qualify as the lead, but I I thought Misaki was more outstanding. She's spacey, moody, often gloomy, but becomes aggressive when riled. It's cool to see a girl with many sides to her, instead of rationing traits to dole out to many girls so they differ in "personality". Later the antagonists show up, but lack depth compared to the many other great characters in this anime. I wasn't thrilled with the "divine light" changeover in personality at the very end either. The beginning is a little rough, but the story progresses in stages with each section being very strong, although puttering out towards the end. The flying idea is like anti-gravity "magic", but treated with enough intelligence that I wasn't turned off by the idea through tedious technobabble as many shows attempt. Flying Circus is a plausible sport; like a baseball diamond race, with the added element of tag (look at sports today, they're not that complicated). For a sports like anime, it develops with the team coming together and evolving friendships. The most compelling part of the anime for me was watching characters facing their limitations and defeat. The bigger story deals with the sport of Flying Circus existing in a somewhat innocent state. With a new strategy possibly dominating the sport, there is a sense of dread that it could ruin the fun exitement excitment of Flying Circus. Interestingly, I've seen similar struggles happen in competitive video gaming, forcing it to evolve. And that's only a part of this anime. A lot happens in 12 episodes. Aokana isn't the best at anything, but it's pretty good at most things. It won't rock your world, but is certainly solid enough to watch. Misaki: I want to know how fun fear can be.